A randomized, double-blind, placebo controlled study tested 1200 IU of vitamin E per day for two years in patients with coronary artery disease. The study is significant because various forces promoting drugs have fraudulently concocted anti-vitamin E studies in an effort to get older people to take more drugs and to not take vitamin E. Of course, the Big Pharma-sponsored media did not report the pro-vitamin E study. The new study showed that vitamin E was completely safe and significantly lowered free radicals and inflammatory markers in the circulation. 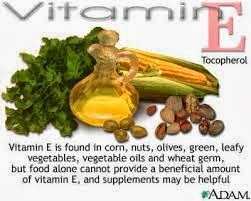 In addition to being safe for the cardiovascular system, vitamin E is also very important for the immune system. Tocotrienols are the most superior form of vitamin E, containing up to 60 times the anti-oxidant power as well as cholesterol metabolism support that is not provided by regular vitamin E.